A mother who is totally with it would have sent her child to spend the summer with his grandparents with his camera in tote. I am not that with it mother. I sent him with clothes, shampoo, toothbrush, and toothpaste. No camera. 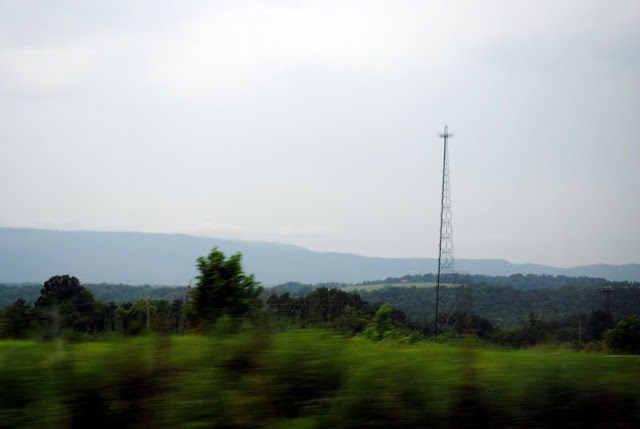 It would have been so neat to see what Luke would have chosen to take photos of while away. But, we will just never know because his mother is not the coolest thing ever. However, Luke does have a with it Grandpa who took many pictures of him during his stay and hopefully I will be able to share those soon. 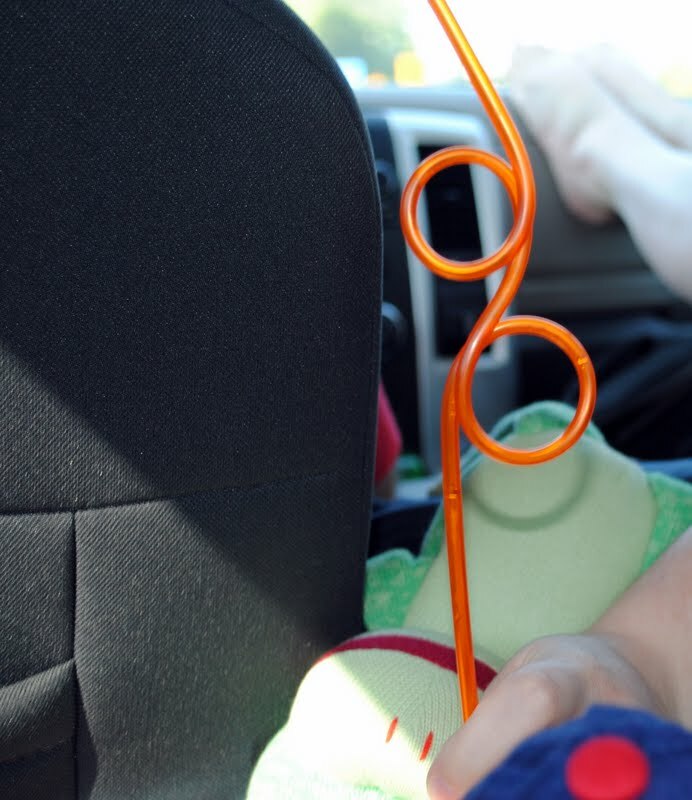 On the road trip home, Luke asked for my camera so he could take some pictures. 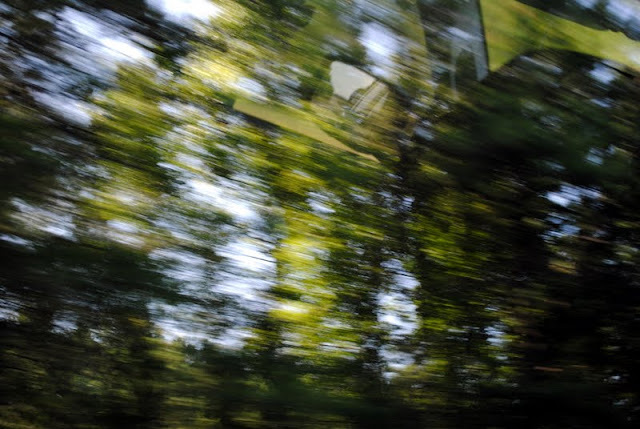 So, what we have here are photos taken by a six year old boy who is riding in the backseat of his Daddy’s truck for 16 hours. You know these are going to be interesting……. 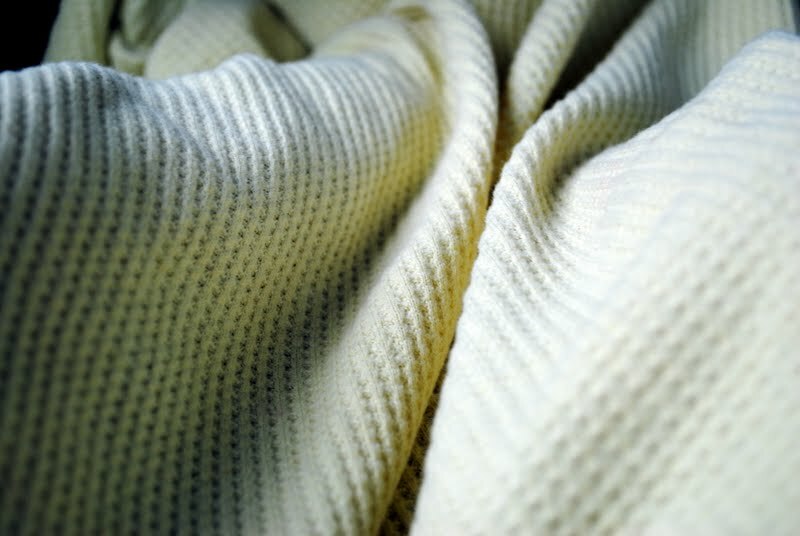 First up, we have green blanket—that is the name of this blanket “green blanket”. I know it does not appear to be green, but it once was. I bought this blanket for Luke when I was pregnant with him. It was wrapped around a stuffed pig. Get it, a pig in a blanket? Cute and was probably overpriced, but I could not resist at the time. This blanket has gone all over with Luke in his six years. He took it to prep school when he was three and it was accidental bleached, thus the yellowish color. It was no surprise to me that he took a picture of green blanket. He loves it much. 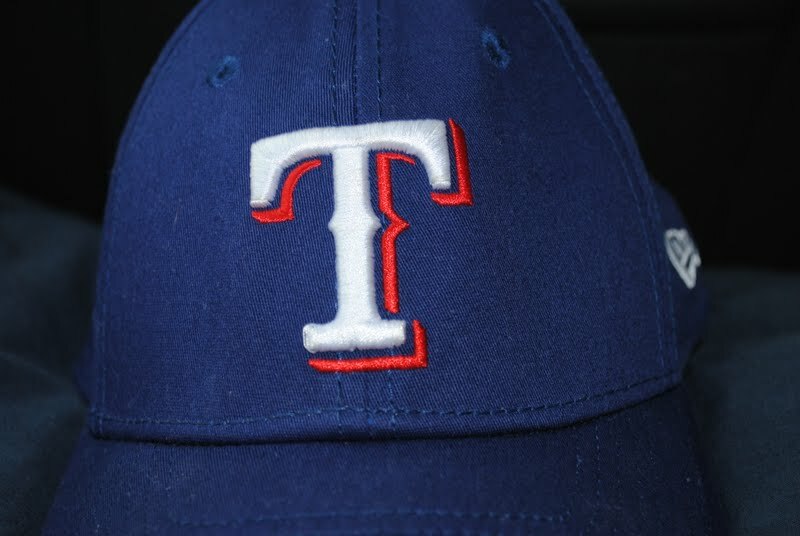 Next we have a picture of his Texas Rangers hat. He proudly wore this hat all over the Carolinas. By the way, Luke has told me that he hopes to pay for the Texas Rangers one day. I told him that would be great, but it would also be okay if he played for a different major league team. He said he would only play for the Rangers because he did not want to be far away from me. I melted. Once I was over that, I realized that clearly I need to fully explain to this child one day that playing even for the Yankees will be okay, IF you are paid well. But for now, we hate all but the Rangers, especially the Yankees! 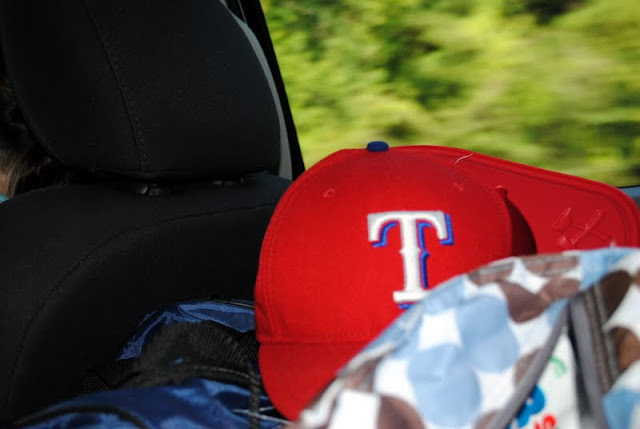 He could not leave out his Daddy’s Texas Rangers hat. Go Rangers!! And guess who will be going to a Ranger’s Game the Friday night after school starts! Luke does not know about it. It will be a fun surprise and end to his first week of first grade. Can’t wait! Then we have his Captain Underpants Book. 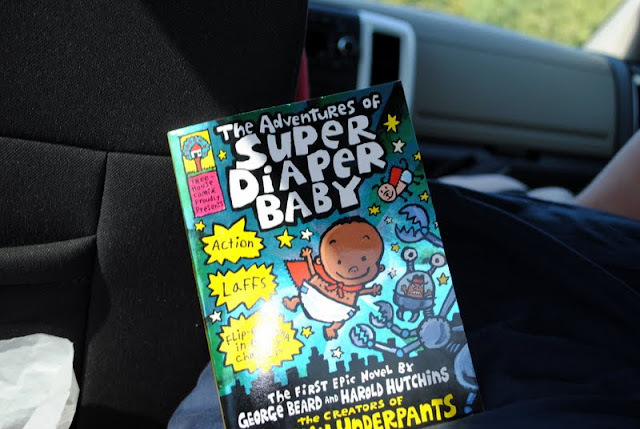 I wrote and blog entry on his obsession with these books. 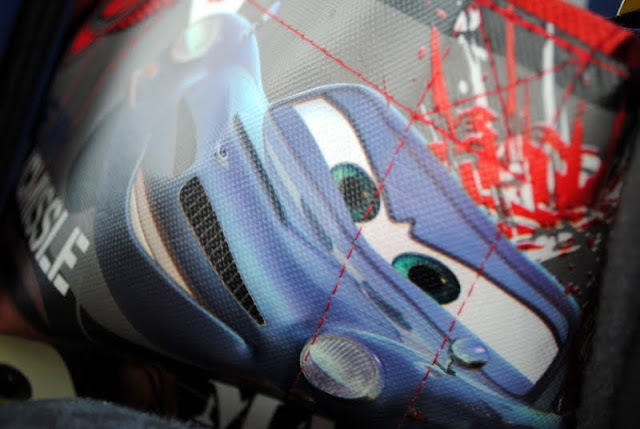 It is hard to tell what this is, but it is a tote bag, obviously of CARS 2. The boy is obsessed with CARS as well. 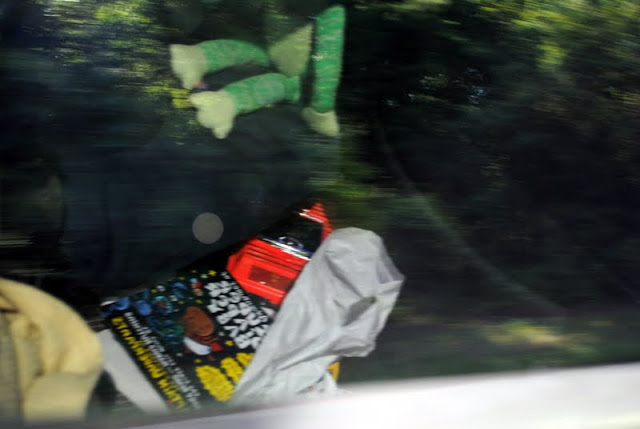 I thought owning all the hot wheels from the first movie was bad enough. Now he is collecting from the second movie. My house is being taken over by cars!!! Once he was bored with objects in the car, he started taking pictures outside. These really make me laugh. These are trees. For some reason, I actually really like this photo. It is neat in an abstract kind of way. He was overly excited and said, “Oh, I got the Eiffel Tower in this one!” I did not have the heart to tell him we were a long way from France. I just smiled. This one tickled is fancy as well. He told me NO less than four times that it was a REFLECTION in the window. It was NOT the actual stuff. You don’t say. Of all his photos, this one was by far my fav. What is cool here is that Josh actually said, “Hey, that is a neat barn!” And Luke then took a picture! 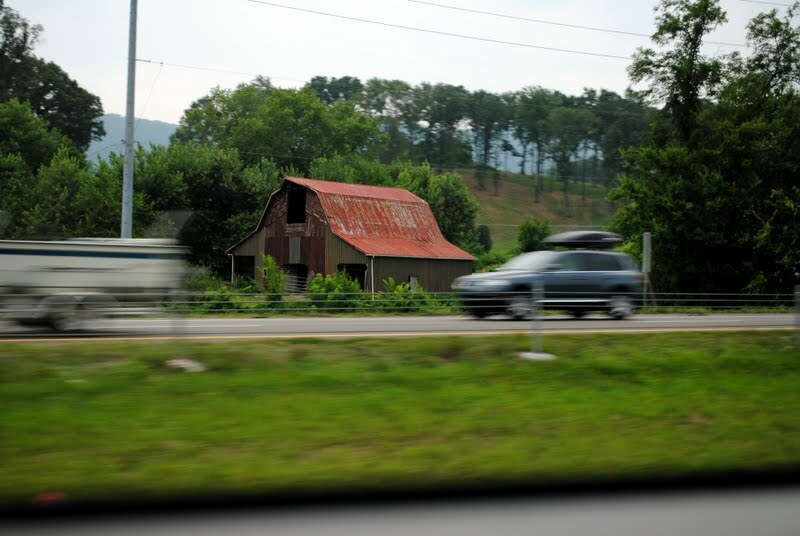 I love that he was able to keep focus on the barn and the cars are blurred with movement! 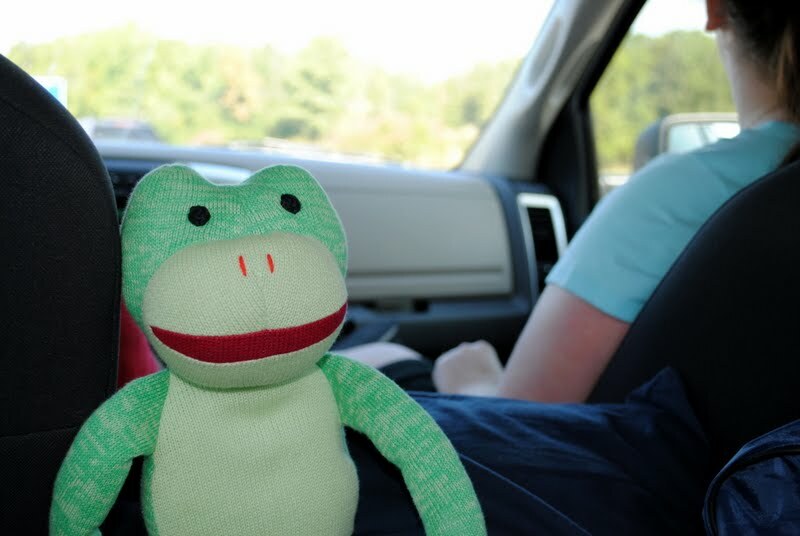 And lastly, we have this frog he obtained in South Carolina. I love that Luke likes to take pictures. It is fun to see what he comes up with.